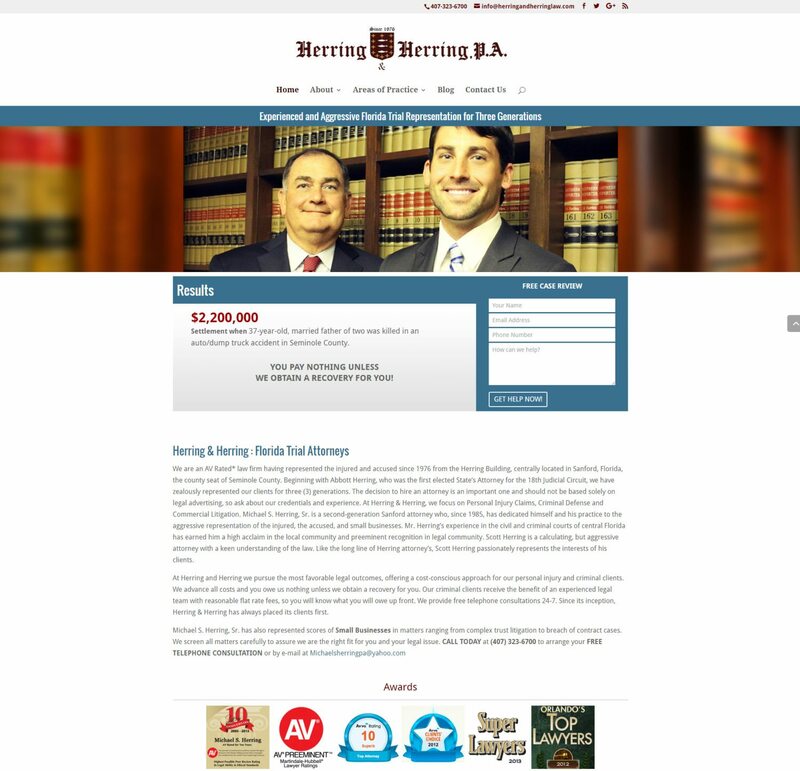 A custom website design for Herring and Herring Law located in Sanford, Florida. This WordPress website features a clean layout, a blog, and easy navigation and integration with social media. This responsive website hosts the latest technologies for SEO and performs well with the search engines.